The story of the friend at midnight is one of many stories that only emerge in the book of Luke. The prodigal son and the Good Samaritan are two others exclusive to Luke’s gospel. Before the parable comes the Lord’s Prayer, which highlights Jesus’ close, prayerful intimacy with God intended as Father. After the story comes an appeal to persevere in fervent prayer to God. Several years ago I had just finished a revival in Birmingham, AL. Exhausted I went to bed in my motel room. I woke up at midnight to a repeated loud knock at the door. I looked through the peep hole and didn’t recognize the individual standing there. I yelled out, “How can I help you?” He responded, “I’m having car trouble and need help.” Suspicious, I called the police and they had a patrol car that was already in the immediate area, pull into the parking lot while I was still conversing with the individual. I watched through the window as they handcuffed and arrested him. A police officer on the scene informed me that they had been looking for this individual. He had committed an armed robbery 2 days before and was on the run. The night before, he had gone to someone else’s motel room at about midnight and was able to make his way into the persons room, murder them, then used their room to get cleaned up. Thank God I didn’t open the door when he came to my room! He was certainly there to harm me. There is no way you could have gotten away with not answering the door in a first century Palestinian small town. You wouldn’t complain and try to get out of giving bread to the friend at midnight standing at your door, either. Everyone in the small town baked their bread at the village oven. They all know who has fresh bread. He’s the one. The tradition is that you serve fresh bread to visiting family and friends. In addition, the houses were so close in proximity that when the needy friend stands on your doorstep pounding on your door at midnight, everybody up and down the street knows they’re there and that you’re not getting out of bed to help them. To complain like this would bring embarrassment on your family and community. And nobody in that town more than 2,000 years ago would want to be the one to damage its credibility for gracious hospitality to travelers with their complaining. This month we celebrate Father’s Day. It is a day when we stand on our father’s doorstep and express to him our gratitude. How do you thank a good father? With a card and an invitation to lunch. With a cordless drill, a grill, or a neck tie? Those are the three most popular Father’s Day gifts this year. My dad, Cecil Todd, is not a tall man and he has white hair, a great sense of humor and a great love for his children. He has always been very good with us kids in potentially stressful situations. When I was in second grade, late for the school bus, I broke the window pane rushing out the front door. A long piece of sharp glass stuck into my wrist and bent over side ways and just hung there. My dad very calmly came to my rescue, pulled the glass out and pressed down on the bloody wound with his white handkerchief. Dad has always been a good father. I’m not a perfect father but I recognize a good father when I see one. A good father, in terms of our parable, is someone you can count on to come to the door and offer you nourishment when you show up on his doorstep. A good father in this story offers you an egg or a fish, not a snake or a scorpion. A good father is someone who, though he has caller i.d., still answers the phone and offers you encouragement. A good father, in Luke’s view, is one who doesn’t just wait inside the manor house for you to come crawling back home, but who, throwing dignity to the wind, runs down the path to meet you with tears on his face. A good father, in Luke’s view, is one who comes out to where you’re lying in the ditch, beaten up by life, and picks you up, binds your wounds, and loves you into healing. Maybe you’ve never known a father like that. Maybe you have. Jesus began his prayer, “Father,” not because he wanted people to equate God with their human fathers. God knows and we know human parents can hurt as well as heal. Jesus prayed “Our Father” realizing that God’s identity and purposes exceed our ability to understand or articulate them. But he also knew that we human beings, with our limited knowledge, need to make comparisons between God and what we know. We know about family relationships, at least what they could be. The prophet Isaiah portrays God as a mother, picking up her young and carrying them when they are tired. Jesus himself depicts God as a mother hen shielding her people under her wings. ALL NEW SPANISH TRUTH FOR YOUTH IS NOW AVAILABLE! CLICK HERE TO PURCHASE! When Jesus prayed what we call The Lord’s Prayer, he was remembering a daily prayer he had heard prayed in the synagogue called the Kaddish, a prayer of thanksgiving and praise to God. “Exalted and hallowed be his great name in the world which he created according to his will…May he let his kingdom rule in your lifetime and in your days and in the lifetime of the whole house of Israel, speedily and soon.” Jesus’ prayer was a simpler, more direct, personal version of this same prayer. Father, hallowed be your name. Your kingdom come. Give us this day our daily bread. And forgive us our sins.” This prayer addresses a Father God who is honorable (hallowed be your name) who is accessible (your kingdom come) who is dependable (give us this day our daily bread) and who is merciful Father God (forgive us our sins). This is the Father God to whom Jesus prayed and taught us to pray. In the meantime, his hopes of being a professional football player were destroyed by an injury and his hopes of being an actor were growing dim. They told him he looked like Marlon Brando, but that he didn’t have any talent. A few small acting parts in his twenties left him, at age 32, the best-known unknown actor in Hollywood. Then his marriage to Judy Carne hit the rocks. This would be the first divorce in his family. He remembers staring at the phone, knowing he had to call home and break the news, but afraid that his dad would come to the phone instead of his mother. Yet, wanting more than anything to hear his father’s voice — standing there, staring at the phone, not able to make himself make the call. When people called on Jesus – who did they meet when he opened the door? Who did they hear on the other end of the line? When they called upon him, knocked on his door, they were met by a person who had bread to give and who gave it gladly. How? Because he prayed. Early in the morning in a quiet place, late in the evening alone in the mountains, in a garden while the footsteps of your betrayers approached and your closest friends on earth lay sleeping. He prayed. 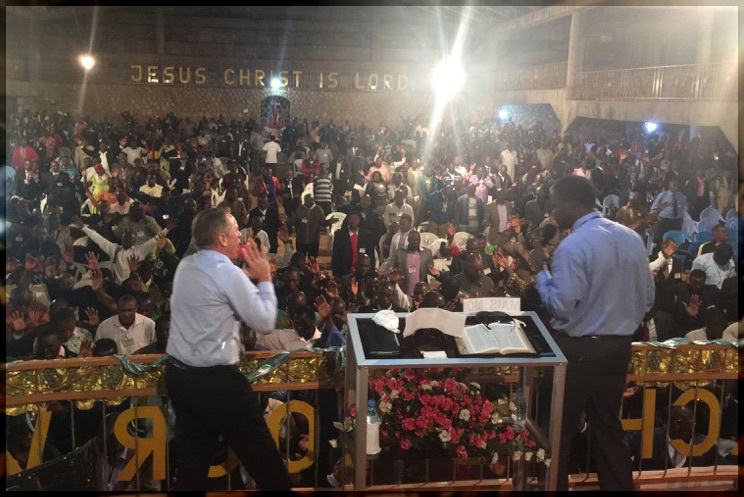 TO HELP US TAKE THE GOSPEL AROUND THE WORLD CLICK HERE! How did he know that? He knew because his tradition from Scripture and synagogue told him that God will pour out blessings on the one who asks and seeks and knocks. (Deut 4:29; Is 55:6; 65:1; Je 29:13-14; Pr 8:17) But how did he know that? He knew from a lifetime of praying to a God who is honorable, accessible, dependable, and merciful. Please pray for our upcoming July Evangelistic Crusade in Cuba. God give us a massive harvest of souls!!! To help provide Bibles for Cuban people click here. OUR SAVIOR HAD AN EARTHLY MOTHER TOO! 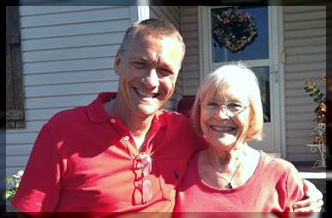 “I honor my precious mom, Barbara Todd, this Mother’s Day and every day! I love you mom! Happy Mother’s Day!” Your son, Tim. As we are in the season of celebrating Mother’s Day I’m reminded of the song: “Mary Did You Know”, written about a MOM holding her baby son in her arms and dreaming about the future, soaking in that brief moment in time, realizing how incredibly awesome her role of being a good MOM is going to be in the life of her child. Now true, this particular family situation with Jesus’ mother Mary, was a little unique, being a virgin and giving birth to a child always makes you more than a little unusual. However, doesn’t this tell us something of how important God sees the family? The fact that God the Father chose for His eternal Son to be born into an earthly family with a mother and a father instead of being born into some monastery somewhere in the mountains. No, the fact that Jesus had a MOTHER too, tells us how important the role of MOTHER is in the development and life of every child. 1) MOMS— A day for you and your role to be honored and celebrated, because being a MOM is no light thing! It’s a major thing to be a MOM and moms everywhere need to be affirmed in this important role. They need to recognize the awesome responsibility of rising up to the challenge of being a MOM. 2) ALL CHILDREN— A day for us to honor and celebrate not only our moms, but also this honored role of motherhood, I want to address each of these groups. All children: God teaches us in one of the 10 commandments that we are to, “honor our father and mother…” But what does it mean “to honor…”, (literally) “to honor” means to show respect or esteem. Now, as a child myself, I discovered that the application of this changes as we grow older. Let me expound on that…. There is a difference in how we are to honor our moms when we are young, and when we are older. The young: (young children…growing up living in the home). The Bible teaches that one of the best ways to honor your mom (at this age) is to embrace the attitude of obedience. God says in Ephesians 6:1, ”Children obey your parents…” (notice the wording here is not optional), it’s the right thing to do! Now here’s the important thing to understand about this…There comes a time in a child’s life when they grow into adulthood and are no longer commanded by God to obey their parents. The command still holds that we are to honor our parents, but remember “to honor” means to “show respect and esteem”, it doesn’t mean to obey. 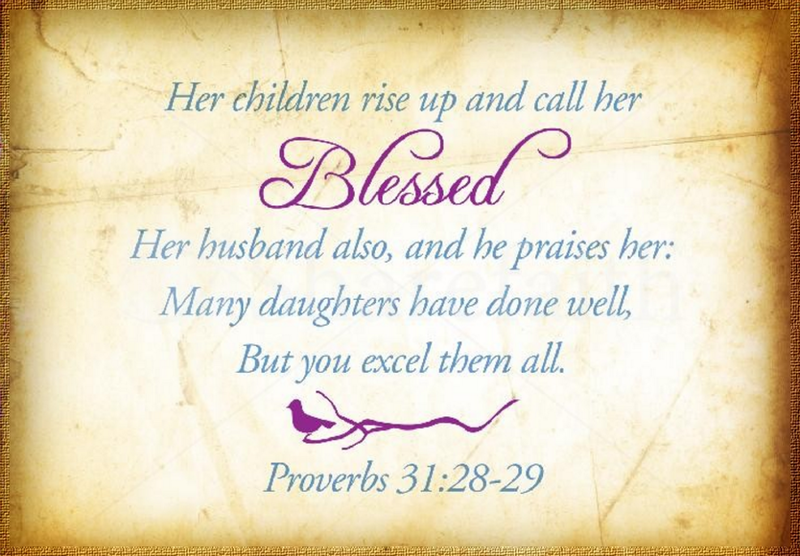 And wise moms (and dads) will make sure their children are released with their blessing into adulthood. My brothers, sisters, and I, have been privileged to bless our wonderful mom, Barbara Todd, with our love for her in every possible way. And so, for the older children…. (adult age), one of the best ways to honor your mom is to honor God with your life in your actions toward her. To financially support the ministry of Revival Fires click here. 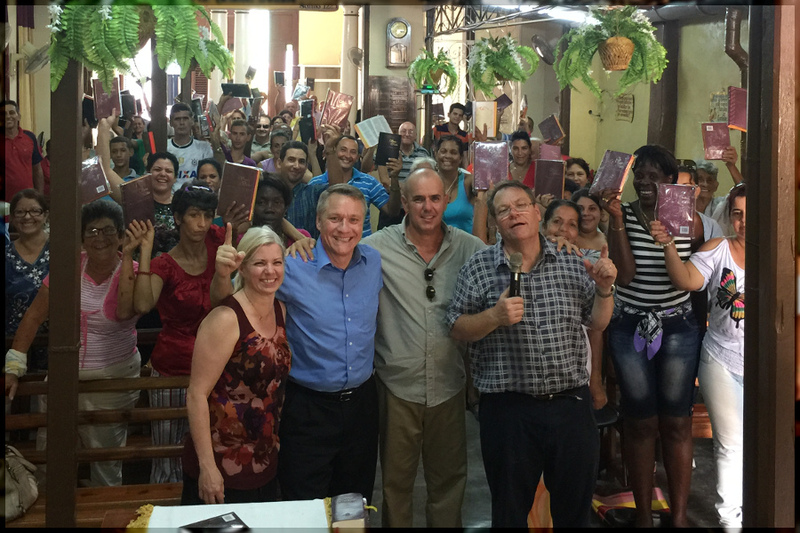 Our April 17-25 Cuba Crusade and Bible distribution has been delayed to July. The Cuban government delayed the issuing of our Religious Visas and we had no choice but to delay the trip. On the surface this was very disappointing, however, we recognize that God is sovereign! He is in control! We know that God’s timing is always the best timing. What the devil has meant for bad we know that God will use for good. As we prepare for going to Cuba in July we plan to give away MORE Bibles and win MORE Cuban people to Jesus! Please be praying with us as we accommodate changing the dates. To help provide Bibles for the Cuban people click here. Jesus instructed, “Go…and make disciples of all nations” (Matt 28:19). There is no alternate plan in case the Gospel fails because IT WON’T! 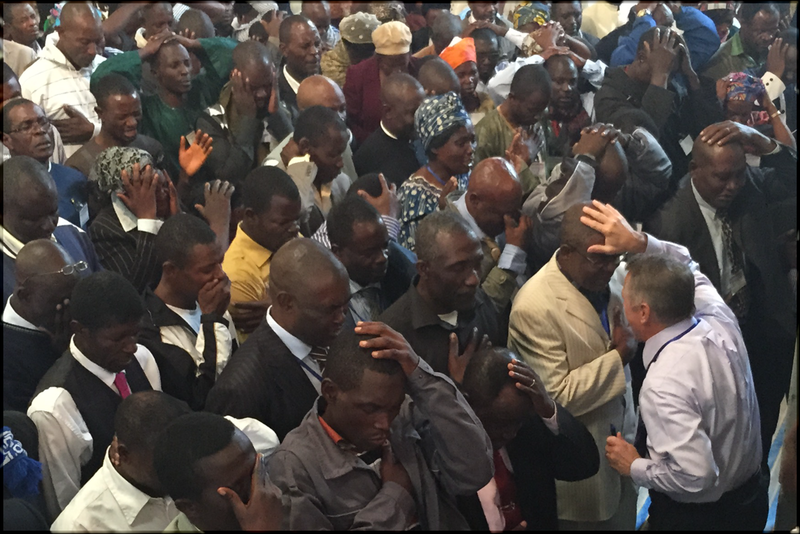 More people are being saved, healed and baptized into the Holy Spirit today than ever before in man’s history. The tempo is increasing, leading to but one conclusion: JESUS IS COMING VERY SOON!!! We are not called to go into a battle with the outcome yet to be decided. The battle was won at Calvary. Jesus commanded the disciples: “Pray the Lord of the harvest to send out laborers” (Matt 9:38), and added, “Go!” He still says it. It is a transferred mandate. 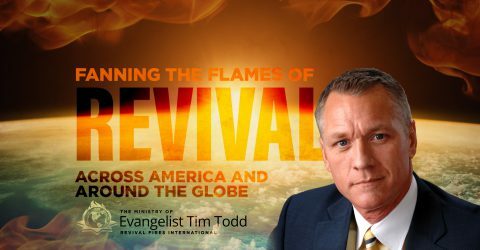 Holy Ghost Revival Fire comes from God, yes, but when? When we repent of our plain disobedience and return to the basic task…WINNING THE LOST!!! Every single church activity should relate to turning the world back to God. Why are we waiting? RESCUE THE PERISHING…or we will need rescuing ourselves! Thank you so much for praying for our revival services as we continue to witness a tremendous amount of people giving their hearts to Christ! To help us preach the Gospel across American and around the world click here. SPANISH TRUTH FOR YOUTH BIBLE! 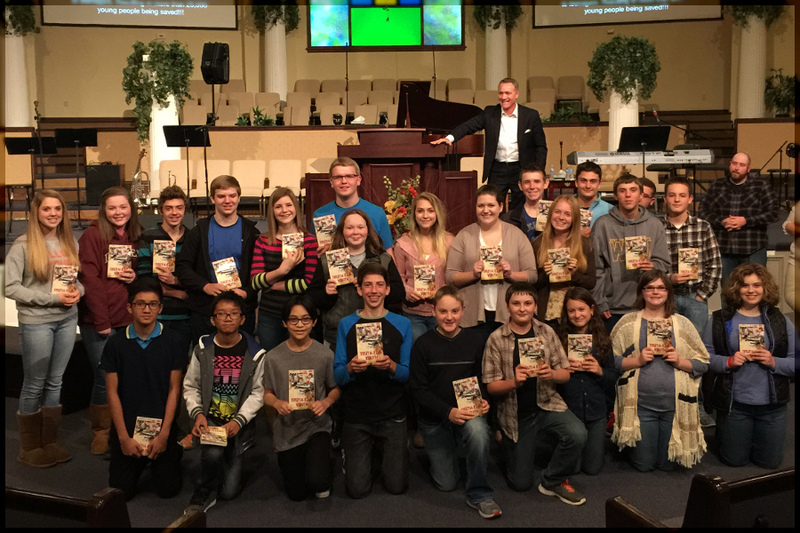 The Truth for Youth consists of the entire New Testament along with powerful comic stories that deal with the truth about issues that young people are faced with on a daily basis. The Truth for Youth mission is to bring the message of the Gospel to young people so they might receive Christ and become His disciples. 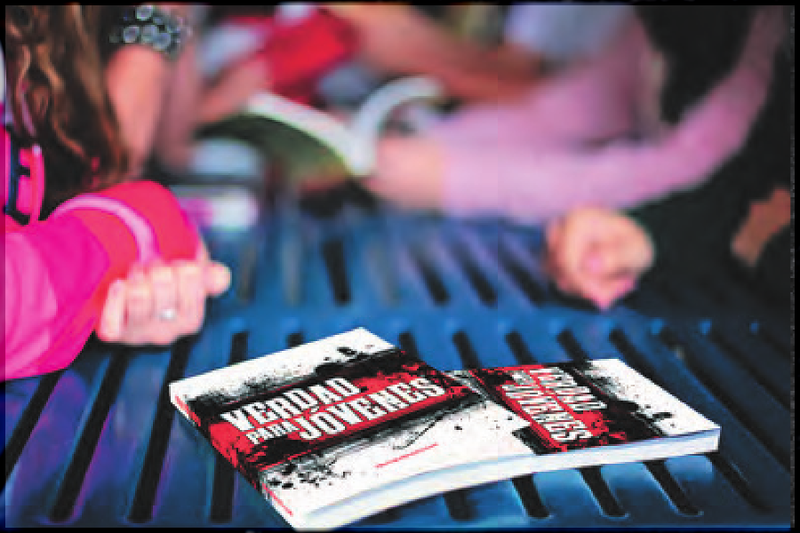 You can order your own Truth for Youth Bibles, (Spanish or English), to giveaway to young people. Categories: Revival Fires Blogspot . . Author: revivalfires . Comments: Comments Off on OUR SAVIOR HAD AN EARTHLY MOTHER TOO!